Mary Tuuk has spent a long career in banking for Fifth Third Bank and in retail with Meijer, Inc.
Away from the office, the greatest passion for the singer with the Grand Rapids Symphony Chorus has been music. Now, she’s about to make her passion her profession. The Grand Rapids Symphony has appointed Mary Tuuk, a West Michigan business executive and current member of the Symphony’s Board of Directors, as its new President and CEO. 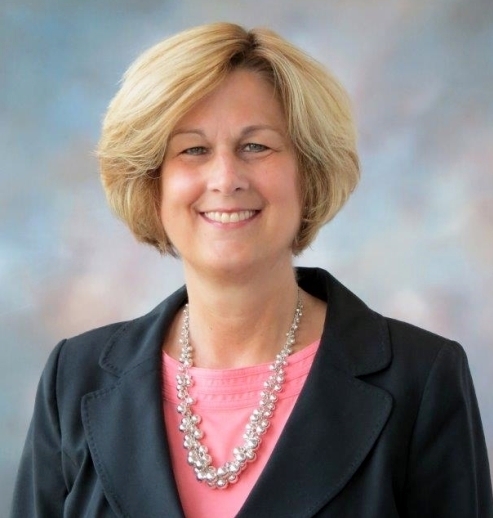 Currently, Tuuk is Chief Compliance Officer/Senior Vice President in Properties and Real Estate with Meijer, Inc. The Grand Rapids native also is a classically trained musician who plays piano, organ and violin. Beginning in January, the Calvin College graduate, who majored in business as well as in music, will put both sets of skills together to serve as President and CEO of the Grand Rapids Symphony. But before then, she’ll sing next week with the Grand Rapids Symphony Chorus for its annual Wolverine Worldwide Holiday Pops on Dec. 6-9. “My heart is humbled by this opportunity to convert my lifelong passion for music into a new career working with an outstanding team of musicians, board members, office members, volunteers and donors,” Tuuk said. In a career spanning more than 20 years in Michigan and Ohio, Tuuk worked for Fifth Third Bank as Executive Vice President and Chief Risk Officer during the financial crisis of 2008. While at Fifth Third, she was named by one of the most powerful women in banking by American Banker on its list of “The 25 Woman to Watch” in the years 2008-2014. Trained as a lawyer, who graduated from Indiana University with both a Juris Doctorate and a Master of Business Administration, Tuuk held the post of Executive Vice President for Corporate Services at Fifth Third when she joined Meijer, Inc., in 2015. 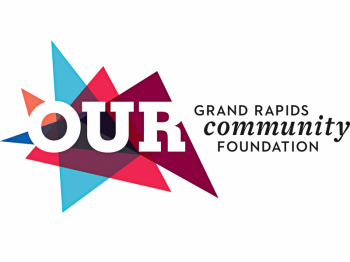 Tuuk brings to the table a really clear understanding of finances and financial management, said Kate Pew Wolters, Immediate Past Chairperson of the Grand Rapids Symphony Board of Directors. “When I describe Mary, I say that Mary can walk her way around a difficult situation like nobody I know,” Wolters said. Tuuk is the second woman to serve as President and CEO of the Grand Rapids Symphony since the 89-year-old orchestra began its transition from a community orchestra to a professional orchestra in the mid-1970s. Melia Tourangeau, who joined the Grand Rapids Symphony’s staff as education director in January 1997, rose through the ranks to serve as President from 2005 to 2008. Today, Tourangeau is president of the Pittsburgh Symphony. 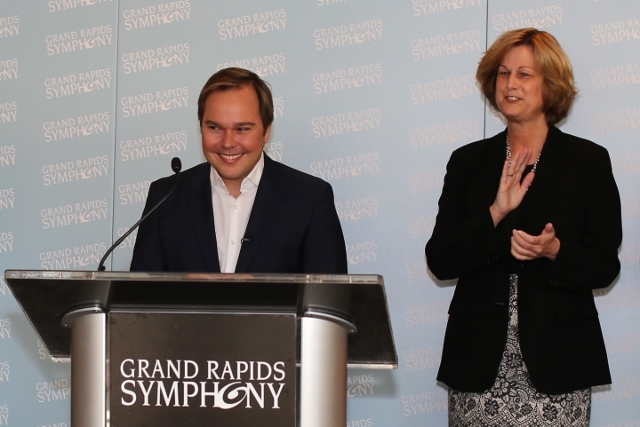 A member of the Grand Rapids Symphony’s Board of Directors since 2012, Tuuk co-chaired the search committee that nominated Marcelo Lehninger to become Music Director. The full Board of Directors appointed Lehninger Grand Rapids Symphony Music Director in June 2016. When Grand Rapids Symphony President and CEO Peter Perez announced in August that he intended to retire at the end of the year, Tuuk was appointed to chair the search committee for his replacement. But after several months of a national search, the committee realized its best candidate was Tuuk. The committee then went on to recruit, interview and unanimously recommend Tuuk for the position. The Board of Directors appointed Tuuk at its meeting on Nov. 15. Tuuk, who has recently served as Chair-Elect of the Board of Directors, will resign from that position in December. Lehninger, who is in his third season as Music Director of the Grand Rapids Symphony, said he’s delighted he’ll be working closely with Tuuk. As a musician, Tuuk has performed with the West Michigan Symphony, the Chamber Choir of Grand Rapids, West Michigan Camerata Singers and the Cincinnati Vocal Arts Ensemble in addition to the Grand Rapids Symphony Chorus. Her solo vocal performances as a soprano have included the Mendelssohn Hymn of Praise, Vivaldi’s Gloria, Faure’s Requiem, Handel’s Messiah, and Saint-Saens’ Christmas Oratorio. Her voice teachers have included Diane Triplett Biser and Stanley Kolk. 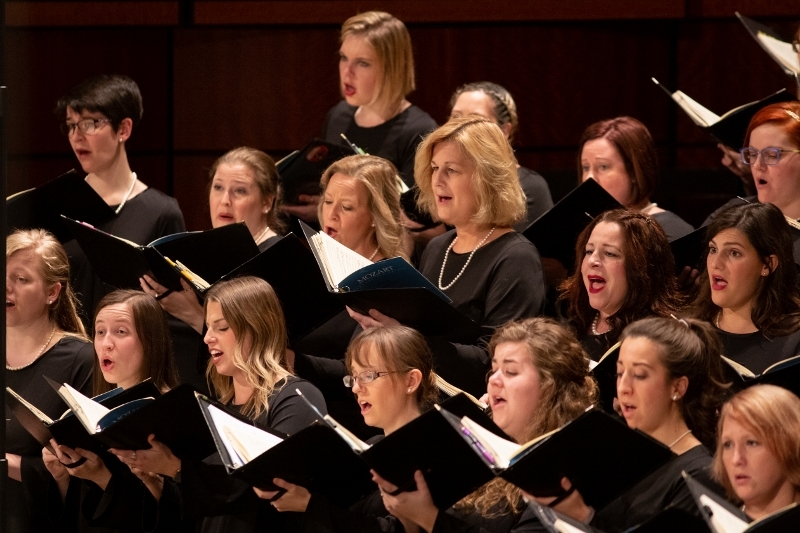 Tuuk plans to continue singing with the Grand Rapids Symphony Chorus, but she’s ready to take the helm of the orchestra that will celebrate its 90th anniversary season in 2019-20.